Adrian graduated from the Royal Academy of music in London in 1994. 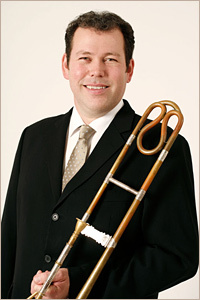 Since then, he has been working to help promote authentic trombone playing in Britain. Adrian's work has taken him to many countries around the world from European Festivals to Israel, Canada and to Bogotá (Columbia), working and recording with such orchestras and ensembles as The Orchestra of the Age of Enlightenment, The Academy of Ancient Music, The King's Consort, The Gabrieli Consort, The English Baroque Soloist's and the Hanover Band.